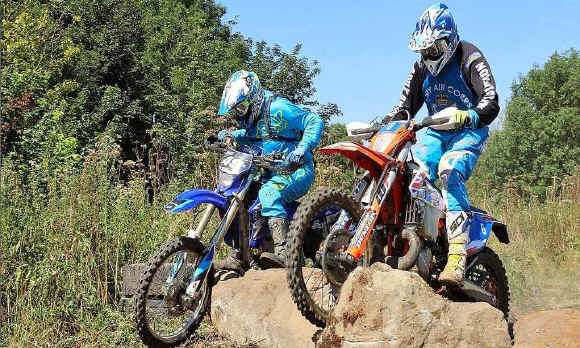 Lincolnshire Enduro club played host not only to their own event at the weekend (Round 5), but also to the first of the ACU's East Midlands Centre championship rounds too. Because of that, there certainly seemed a slightly different feeling to the race due to some fresh faces seen on the start line. Not only are the club attracting riders from further afield these days, one of the marshall's was from another continent; Australia in fact !! As it was an East Midlands championship round, a few guys appear on the winners lists who haven't been seen at the club before. The Experts class was won by Lee Sampson, followed home by another name we don't hear much of, Tom Weston. LEC regular Mathew Thompson was third spot on the podium. Indeed, it looks like those riders were the only ones on the day in any class who completed 9 laps in the 180 minutes. The Clubman race did however see names we are familiar with. Mark lonsdale was first home, with Michael Harris in 2nd and Craig Keyworth in 3rd spot. Michaels result sees him maintain his overall position of 2nd in the LEC competition, and has narrowed the gap to top spot to just 4 points in that class. Another unfamiliar name is Joshua Hamilton. Joshua won the Sportsman (2T) class and was the only rider to achieve 8 laps in that group. He was though followed home by Carl Gordon (2nd) and Rikki Harris (3rd). As Carl is actually leading the (2T) LEC class from Rikki, he know sees his slender lead stretched, but its only by a thin margin. Rob Millar won the Sportsman (4T) race, with Niall Bowker in 2nd place and Jonathan Lister making up the top three. As Niall is currently leading the LEC (4T) class, his 2nd place on the day sees him move further away from his opponents. Kev Bartle (Senior) won the Trail and Classic group, and in turn must have one eye on that class's trophy for the year. The over 40's class was filled with names we see on a regular basis at the top. Simon Howden, Ian shepherd and Fred Farquharson were 1st, 2nd and 3rd respectively . Simon is currently leading the class but there's a whole bunch of riders chasing him very hard, and waiting in the wings for a slip up ! The over 50's class once again was one of the biggest group of the day, with 20 riders. The top three guys were the only ones in that class to run to 8 laps. After a lengthy spell away from racing, Neil Tapper came out top on the day, with Mark Glover (2nd) and Nigel Ross (3rd) chasing Neil over the line. A big thumbs should go to the two riders on the day who were in the Beginners class. 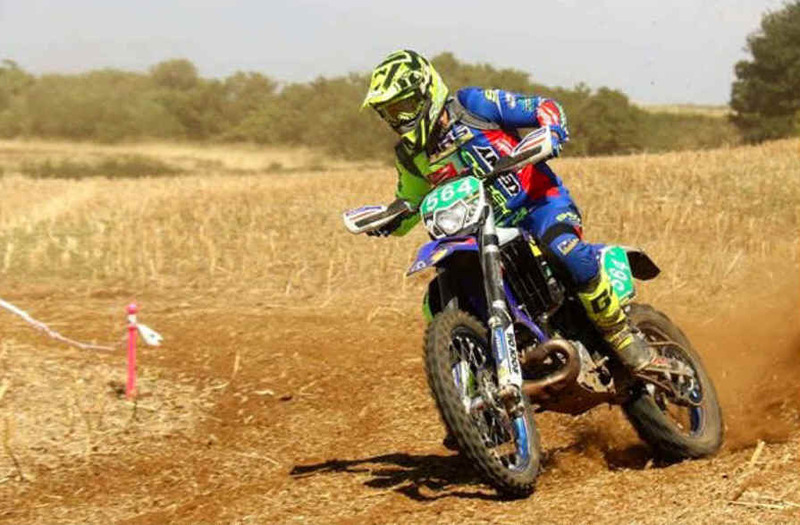 Whilst the club doesn't issue points or prizes to those riders, Ross Walker and Marc Carter should have their hands shaken for their perseverance on a very hot day in the saddle. Well done lads. Hope we see you at next race. That next race is on September the 9th. Venue to be confirmed. 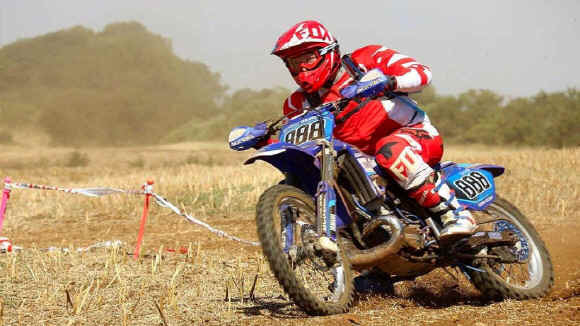 Photos are of overall winner Lee Sampson (No 564) on his was to glory/Mark Mumby getting it sideways in the over 50's (No. 888), and Robert Harmston Hall (No 49) battling it out with John Hughes (No 6) over the rocks.